Plus, this year we celebrate the incredible “Maker” movement with a special feature devoted to the inventors, dreamers, crafters and creators who devote their lives to amazing record-breaking projects such as the largest water pistol, a jet-powered go-kart and an elephant-sized hamburger (think you could eat a whole one!?). We take a sneak peek into their workshops to explore these epically big builds, and ask them what inspires them to go really, really large! And if you like creating, and you like LEGO®, then you’ll love our “Making History” pages that use the world’s most famous interlocking plastic bricks to illustrate and explain an important record-breaking object – such as the Statue of Liberty or the Apollo mission’s Saturn V rocket. We examine their designs, structure and technical specifications in fully illustrated and colorful, poster-style pages. Finally, you can jump into both the making and record-breaking action with a “Do Try This At Home” section. Challenge yourself and your family with five fun record-breaking maker-inspired records you can attempt involving origami, balloon sculptures, ring pulls and rubber bands. Who knows, your creation might just make it into the record books! 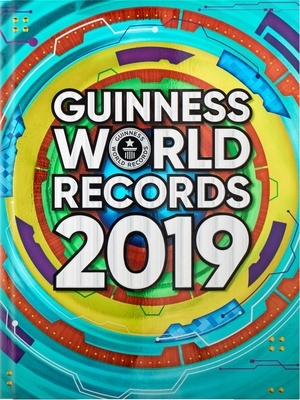 Guinness World Records’ worldwide television programs reach over 750 million viewers annually and more than 2.7 million people subscribe to the GWR YouTube channel, which enjoys more than 264 million views per year. The GWR website receives over 19.8 million visitors annually, and we have over 14.3 million fans on Facebook. The Guinness World Records commercial sales division provides customized consultancy services for some of the world’s top brands and agencies to help place record breaking at the heart of their marketing campaigns, employee-engagement programs, and live and experiential events.